One consolation, however, is that in herb gardening for beginners, you have the opportunity to reap the most benefit with the least amount of drudgery. Why Do You Want To Garden? To get the most satisfaction from your garden, see if you can determine why you want an herb garden in the first place! Do you just want to make something grow? Do you enjoy cooking, and wish you had fresh herbs? Maybe you make soaps or essential oils and would like fresh, organic herbs to infuse into your mixes. Many people are reluctant to take on herb gardening because they think they’ll just have rangy, green things leaning up against the glass in their windows. That could not be further from the truth. Many herbs have beautiful blooms and unique colors, not to mention the scent you can add to your home with well-chosen herbs. Anise hyssop has pretty purple spikes that grow from the low, bushy clumps. These grow wonderfully in the garden and can thrive indoors in a well-lit area. The petals and leaves are both aromatic and work well in potpourri. Bee balm comes in white, pink, red, and purple. These can get tall, so consider planting them outdoors. One of my favorite books on culinary herbs. Herb gardening can be a wonderful pastime for all to enjoy whether you are a beginner or seasoned pro. You will find all the basic terminology and some excellent herb garden tips in this article. But if you are looking for an in-depth guide, one of my favorite books is The Cook’s Herb Garden by Jeffrey Cox. This is a pretty little hardcover book that I refer to often. The focus is on culinary herbs & has plenty of step by step instructions on growing, cooking & preserving all my favorite kitchen herbs. If you prefer a more social approach to learning, check out the resources from the American Horticultural Society. 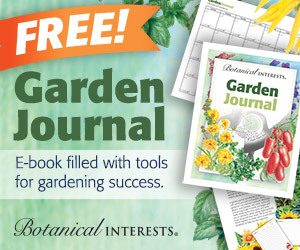 They have garden societies, clubs and other organizations you can join to meet other gardeners. The Garden Web is another great resource for information where you can join online, then interact with other gardeners on the forums. Once you decide why you want to have a garden, you get to select plants that will make your vision come to life. Here are some basic terms and gardening tips for beginners that should help you select the best plants for your new hobby. Thyme is a perennial herb which will come back year after year. Perennial plants are those that come back every single year. Plants like anise hyssop and bee balm are colorful, perennial herbs that have a wonderful scent and is used in many emulsions and infusions. Perennials come back from the root every year so that you do not have to replant. They will go dormant in the winter. Other perennial herbs are fennel, bay, chives, lemon balm, oregano, thyme, mints, and sage. Annual plants need to be planted every year. 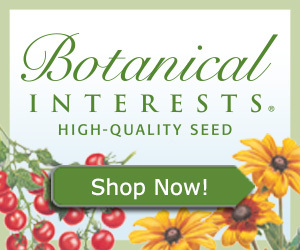 You may plant them from seeds yourself, or you may want to buy seedlings and set them out. These include such herbs as basil, cilantro, cress, and marjoram. These plants usually make their own seeds after flowering each year. They may replant themselves in the same spot every year if you let the flowers go to seed. The seeds will fall around the existing plants and can sprout the following spring. Ok, perennials will go dormant while means they are in a period of rest. They may look dead, but the roots are still alive. If you water them once or twice during the winter, they will suddenly sprout new growth in the spring! If you are shopping for seedlings at the home improvement store or the nursery, check the plant care tag. It will tell you a lot about the plant, and you can decide whether it will work in your garden or not. Plants may require no sun, partial sun, partial shade, or full sun. Don’t mess with this formula! If the tag says partial sun, then don’t put the plant in full sun, or it will fry. Period. The tag will tell you how often to water the plant, and usually it will state whether the plant likes consistently moist soil. Some plants prefer to dry out before the next watering. Believe what the tag says! If you over water, or don’t water enough, the plant will not thrive. Somewhere on the tag, you will find the information as to how high and wide the plant will grow. This is important to remember. Bee Balm, for instance, will grow to be three feet tall. Fennel, however, will reach six to eight feet. That’s a little tall for even a BIG window in the house! The United States is, horticulturally speaking, divided into zones. These indicate the hardiness necessary for plants to thrive. There are 11 zones in the U.S., each with a difference of about 10 degrees from its neighbor. So, a plant that is hardy in Zone 2 up in Michigan will die a thousand deaths in Zone 7 in Texas. It simply can’t take the heat. Similarly, a plant that is hardy in Zone 7, withstanding occasional freezes below 0, won’t stand a chance in Zone 2. Trust the Zone. Feel the Zone. Honor the Zone, or plan for even perennial plants to die. Here is the Plant Hardiness Zone Map published by the United States Department of Agriculture. Use this map to determine your gardening zone in the United States. If you plant outside, you may need to amend the soil in your garden with something that has compost and peat moss in it. This will keep the soil from packing down and smothering the roots. If you bring soil in for your flower pots, bake it in the oven, in a pan. Really – and don’t let people tease you about mud pies. 350 degrees for 30 minutes should kill any fungus or insect eggs in the soil. Sprinkle cinnamon in the soil, and it will help keep fungus from growing. There is a lot of information out there on herb gardening for beginners. Herbs not only are one of the easier plants to grow, but it’s also fun to be able to use prepare meals with herbs you’ve grown in your own garden. Growing herbs can be a very rewarding pastime. Don’t be afraid to ask questions, either, because nursery people live to show their knowledge. And remember, a little dirt is good for the soul. Hydroponic Herb Gardens - Grow Fresh Herbs Super Fast!